Vanessa discovered a passion for graphic design during her sophomore year of high school, which motivated her to earn her Associate in Technical Art Degree in Multimedia and Interactive Technology from Skagit Valley College. During her college experience, she was a member of Phi Theta Kappa Honor Society and the Rainbow Alliance, a club focused on LGBTQ acceptance. 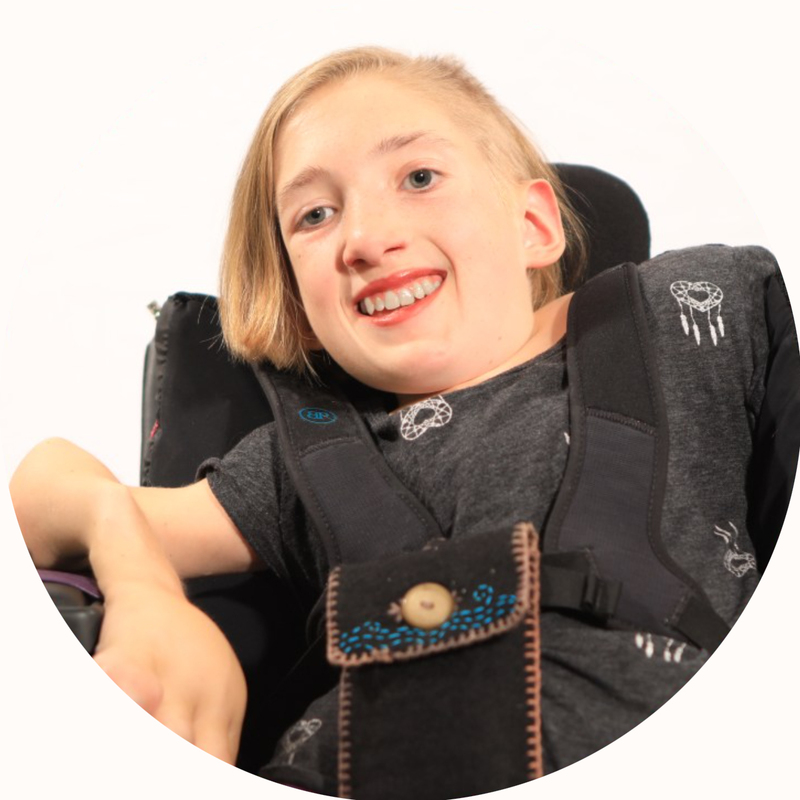 She participated as a scholar/camper for two consecutive summers at DO-IT, a technology-focused college prep camp at the University of Washington for college-bound high school students with disabilities. She then returned for an internship in the summer of 2016. That fall, she joined Rooted in Rights as an intern, working from her home on Whidbey Island to aid the creative team in the production of graphic design projects for disability rights organizations across the country. In her spare time she enjoys volunteering at Whidbey Island Nourishes, a local organization that provides lunches for hungry school children.